First published in 2007 by Glass Orange Publications as a physical poetry book, containing most of the performance poems written for and performed at The Writers' Cafe gigs in Stockton Tees and elsewhere. new additional material and links to the various musical collaborations of the poems, including trance tracks by Culture Fuzion ie Jim Pryal and Trev Teasdel and The Nerve. Jim Pryal is a longstanding Coventry drummer and Music Producer who has played in many Coventry bands including Ska band Hot Snacks, Blues band Wandering John and Roddy Radiation's Bonediggers. Jim created the music for those tracks with my voice and extracts from some of the poems in the book. The Nerve was a Tyneside band who created a trance Track around my poem Down Our Street. 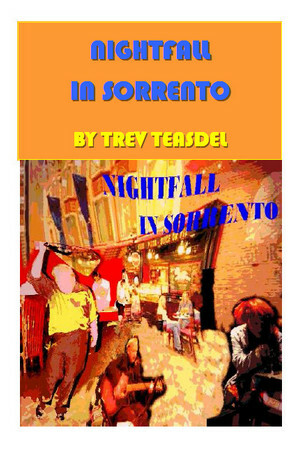 To read Nightfall in Sorrento, scroll down on the viewer or click the arrow screen right to view on Google Drive where you can also download it by clicking on the arrow at the top of the viewer. Nightfall in Sorrento - Culture Fuzion - Jim Pryal - Music - Lyrics (in the book) - Trev Teasdel. Melissa's Garden Culture Fuzion - Jim Pryal - Music - Lyrics - Trev Teasdel. Stereophonic London - Version 1 Culture Fuzion (Full poem in the book). Stereophonic London bhangra version - Culture Fuzion. 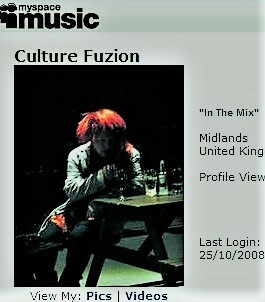 Dance and R & B (The Surround Sound) - Two versions - one with Jim Pryal of Culture Fuzion and one with backing from Wandering John - Coventry blues / rock band).